US based auto giant Ford Motors, seems to be in a bit of urgency as there are reports coming in which say that much-hyped compact Sports Utility Vehicle (SUV) Ford EcoSport will be launched today. 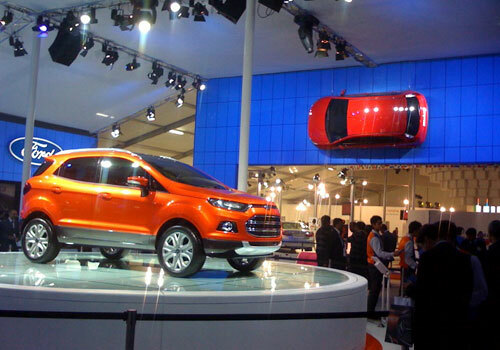 A day prior to it’s unveiling at the 2012 Delhi Auto Expo! The rush created by Ford Motors can be understood as the exhilaration in India is oozing out for the anticipated second generation of Ford Ecosport and company wants to hammer the hot iron with immediate effect. The thrill is obvious, as Ford Ecosport is expected to appear as a comprehensive package that consists of distinctive front to rear appearance, generous and class-leading interiors and decent fuel efficiency along with an estimated killer price of INR 7lakh to 9 Lakh. The compact vehicle that was codenamed ‘B515’ when it was under production will follow its Brazil launch after its India unveiling, where its first generation already exists since 2004. 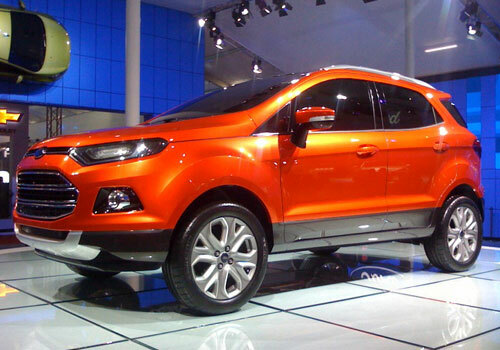 The five-door Ford EcoSport; which has the capacity to seat five occupants comfortably, is built upon the Ford Fiesta platform. But if you stare at it by any perspective you won’t believe the same as its vertical stance, full-sized body colored bumpers, higher ground clearance and refreshing new bold design will verify you incorrect. The compact monster is expected to don a 1.5L DuraTorq diesel power-train and a lower displacement of 1.0 litre Ecoboost petrol under its elevated bonnet. Both the trims will be mated with 5-speed manual gearbox. It will be initially be presented in single diesel variant with different trims available that will feature more advanced elements. The Ford EcoSport can have 16-inch or bigger 17-inch alloy wheels fitted as standard along with some latest equipments in the interiors. 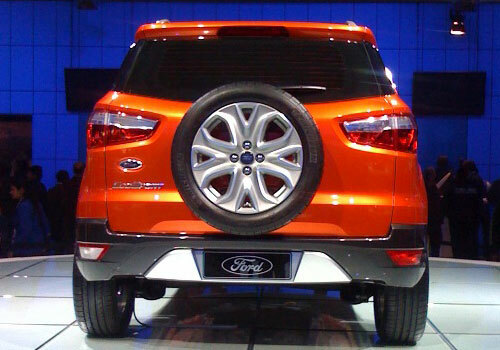 Being a Ford product, the safety concerns will also addressed with Anti-lock Braking System (ABS), Electronic Brake Distribution (EBD) function combined with adequate airbags. Ford Motors would like to repeat the success of Ford Figo hatchback in India. The company didn’t see decent sales figures by Ford Fiesta Classic and all-new Ford Fiesta, hence would like to give their level best in turning the table in their favor.